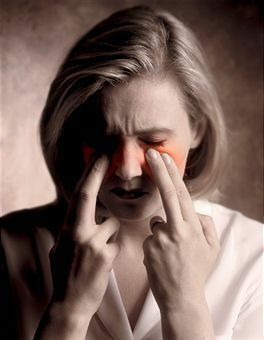 Often, sinus infection treatments are not necessary as they are frequently brought about by cold. But if the condition persists, any of the following may be recommended by your doctor to lessen the symptoms. Saline nasal sprays are used to clean the nasal passages. The number of times they are sprayed may vary per product. 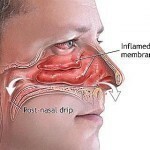 Nasal corticosteroids are sprays that deter and relieve inflammation. These include mometasone (Nasonex), fluticasone (Flonase), triamcinolone (Nasacort AQ), budesonide (Rhinocort Aqua), and beclomethasone (Beconase AQ). These are over the counter medications. They can come in the form of tablets, nasal sprays or prescription liquids. Nasal spray decongestants include oxymetazoline (Afrin) and phenylephrine (Neo-Synephrine). The oral decongestants include Drixoral, Sudafed and Actifed. These decongestants should be taken no more than a few days. Otherwise it will result in heavier congestion. There are over the counter pain relievers available. They include ibuprofen, aspirin and acetaminophen. Never give aspirin to children; it may cause Reye’s syndrome, a potentially fatal disease. If the acute sinusitis is caused by a virus or fungus, antibiotics will not help. Most of the time, sinusitis caused by bacteria does not necessitate taking of antibiotics. Antibiotics are needed only if the infection is serious or persistent. If sinus infection treatment requires antibiotics, you may be prescribed any of the following: doxycycline (Monodox, Doryx etc. ), amoxicillin (Trimox, Amoxil, etc), or the combination drug trimethoprim-sulfamethoxazole (Septra, Bactrim etc). Other antibiotics may be prescribed if these do not work. Important: the antibiotics have to be taken in their entirety (usually 10 days to a couple of weeks). Even if you feel better, completion of the course is a must. The symptoms may return if the treatment is not completed. This will be used if the disease is caused by allergies. If the infection is caused by a fungal infection, voriconazole, amphotericin B or other intravenous (IV) medications may be given to the patient. The dosage will depend on the severity of the illness. These include yellow or green discharges from the back of the throat or nose. There is pain and swelling around the eyes. The jaws and cheeks will be painful. The teeth and upper jaw will hurt. The patient’s sense of taste and smell are reduced. There could be coughing, most notably during the evenings. The ear may hurt and there could be bad breath. Fatigue, nausea and fever may be experienced too. Go to your doctor if you experience any of the following: confusion, double vision, stiff neck, severe headache or shortness of breath. Go to the doctor if the fever exceeds 100.5 F (38.1 C). Medical help is needed if the symptoms are not reduced a few days after treatment. Besides the common cold, sinusitis may be caused by allergies, bacteria or fungal infection. Your doctor will be able to determine this. Most of the time, the best sinus infection treatment is just rest. Only take the antibiotics and other medications if the symptoms do not go away.